4 Stripe Thicker viper stripes cut from vinyl. The design shows the cars colour as the background. 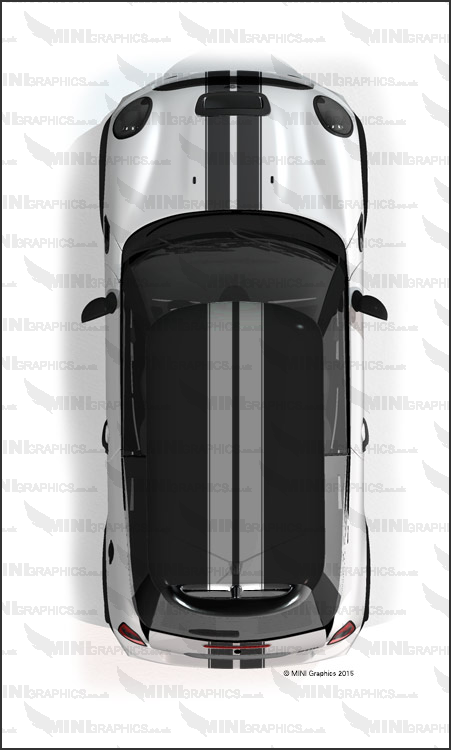 The image shows Black vinyl on the body and white Vinyl on the roof. The kit comes with bonnet, roof and boot sections.